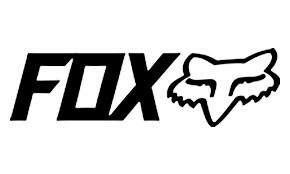 The Fox Bomber Boot is modeled off our Comp 8 motocross boot. It delivers exceptional grip, coverage, and support in a sleek, low cut offering – making it ideal for taking your riding to the streets. The boot features a full synthetic leather construction with TPU plating reinforcing critical impact zones (toe and heel). The left boot features a textured shift plate for improved shift precision. Full burn guards on the medial side offer protection from exhaust pipes and improve durability. The boots use our trusted Comp 8 buckles for a snug fit in the heel with a simple hook and loop closure at the cuff to secure the boot around the ankle. (no laces to snag or loosen during the ride). This low-cut offering is perfect for dirt riders who want to transition to street riding. With a balance of flexibility and coverage, they are comfortable both on and off the bike.